It is rare that a newcomer gets booked on WACKEN:OPEN:AIR, the biggest Metal festival of the world. I mean – if they are not booked for the Metal Battle or other newcomer activities. 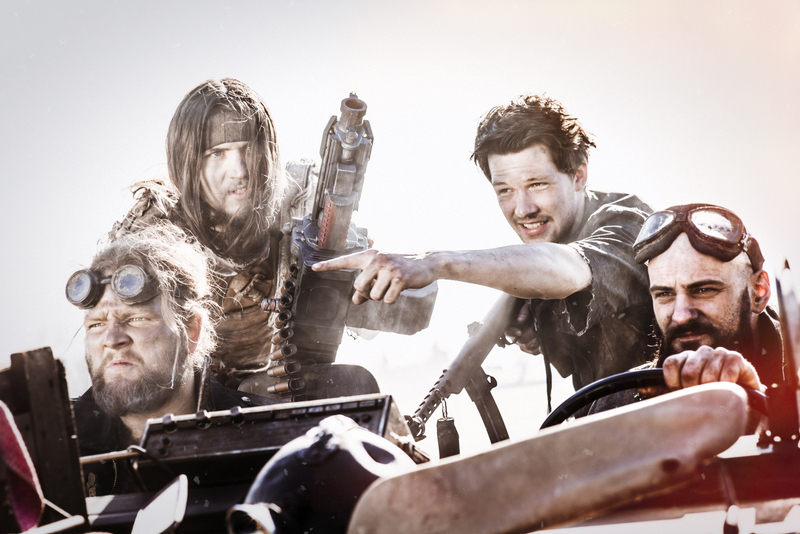 MONSTAGON managed to get themselves a name in the growing scene of End Time Metal: The look like they survived the movie scenes of 2012 and MAD MAX and they sound like the directors of Mad Max should have better chosen „Engines of Vengeance“ as their original soundtrack.